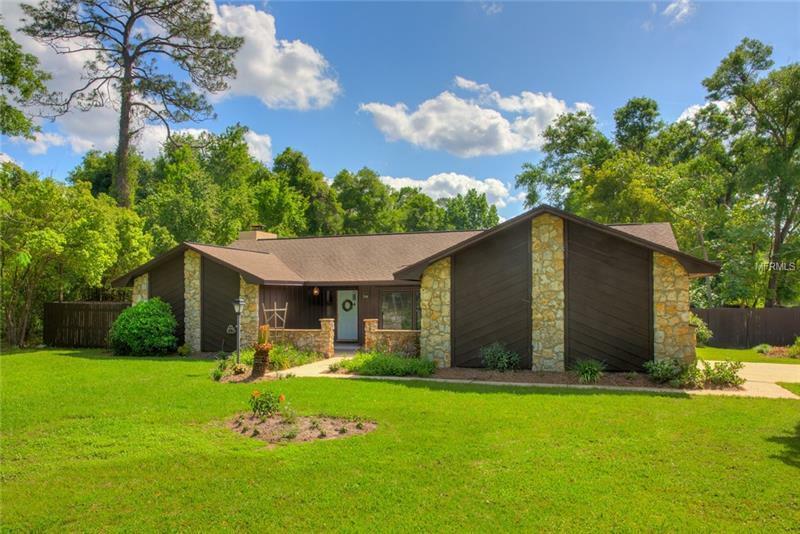 Get ready to move into this meticulously maintained Florida Ranch style home in Orange City! So many updates!! The house has tile throughout the 3 bedrooms, 2 baths, living room, family room, dining room & kitchen. The master bath has been enlarged and updated with a large shower and tub, and dual sinks. The kitchen area was also enlarged and updated in 2017 with wood cabinets, silestone counter tops and new appliances. New custom windows were put in throughout the house in 2016 and they come with a transferable lifetime warranty. Roof replaced in 2008. The large backyard is an oasis; the seller is leaving you the lawn mower too! The pool was recently updated and fiber glassed in 2016. The workshop in the back yard has electric. Minutes from I-4, Blue Springs State Park and Historic Downtown Deland. This home is beautiful & ready for your family! Schedule your showing today! !